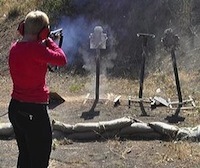 Defensive Shotgun: This course is for shooters who wants to use shotguns as their primary home defense firearm. 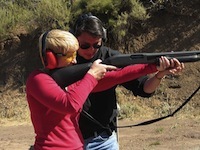 This is a basic - intermediate shotgun course. It is also designed to prepare individuals to take more advanced shotgun courses such as the Intermediate Shotgun and the Tactical Shotgun. Topics include home defense, basic maneuvers, types of ammunition, close quarter combat with shotguns. This is a 3 hour, shooting class. Bring your shotgun and ammuntion (buckshots and slugs only - no bird shots). Other types of shells should be brought for informational and testing purposes.